One day, my brother and I found ourselves in the great outdoors. Vast fields and shrubbery surrounded us. We huddled together under the bush we had been dumped in, not sure what to do. A farm family found us. Then we found the family's porch to huddle under. The family knew we were tame and called RCR for help. Now, we are safe inside and can cuddle and play all we want! I love to go on adventures, exploring new places around the house. I also love dogs. Dogs are great to cuddle with. I also like to curl up in arms and get attention from people. People are great. 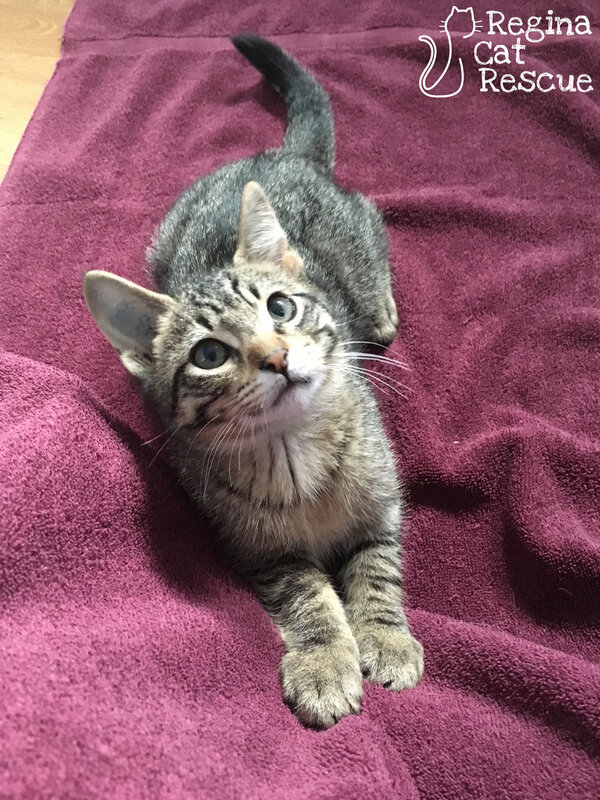 A forever home would be great too. 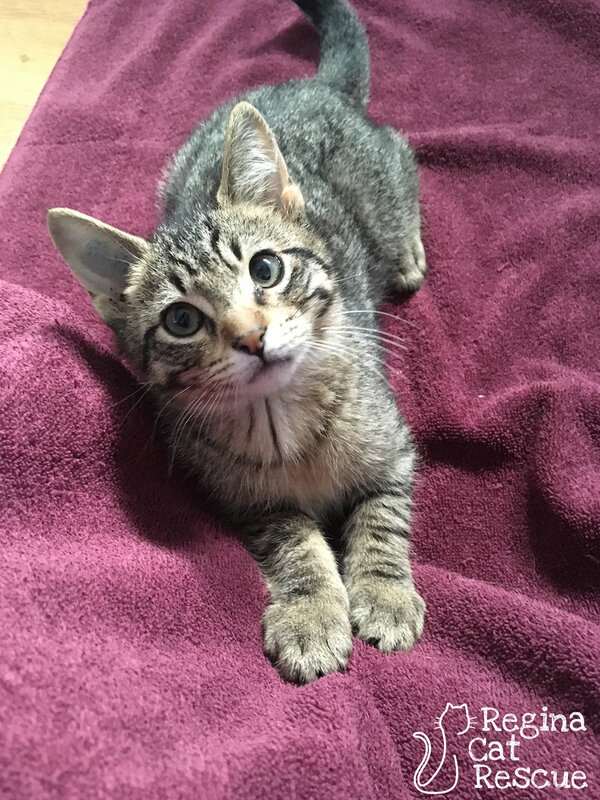 We could be a forever family, wouldn't that be great? 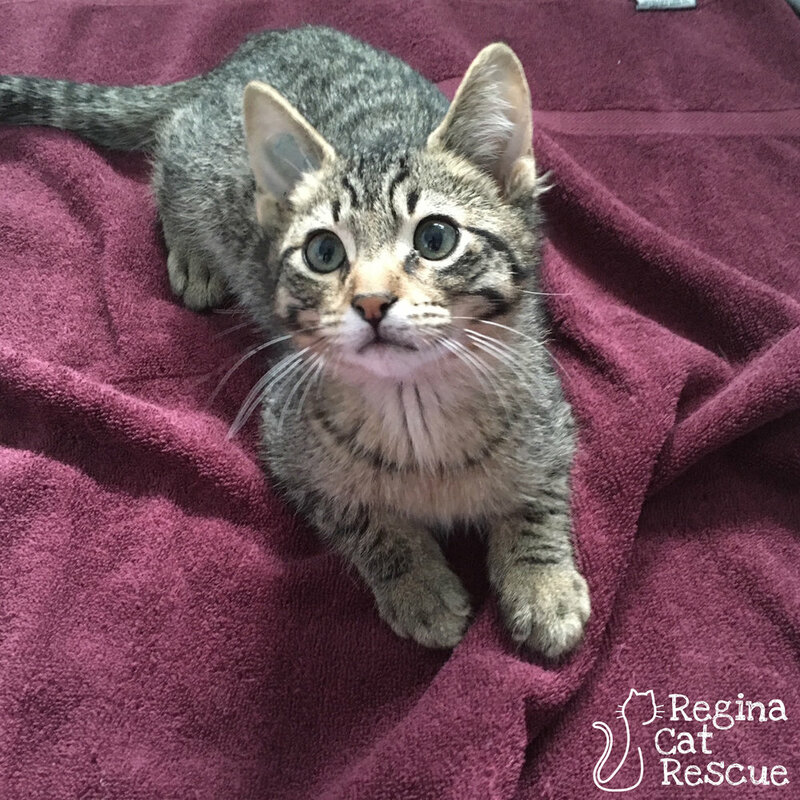 If you are interested in Fred, click here to view our adoption contract and click here to complete an adoption application or email the RCR Adoption Coordinator at adoptions@reginacatrescue.com for more info.